Shopping for Flash Action Figures? 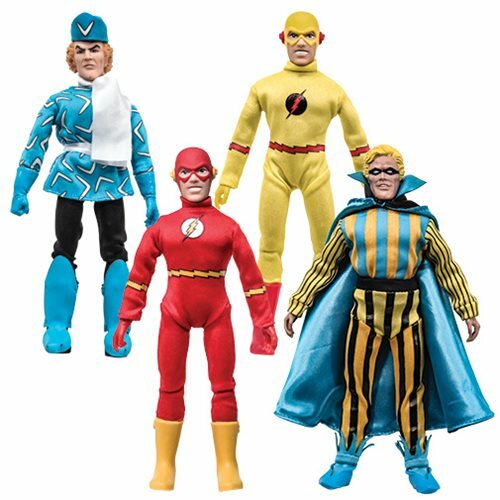 Your very own retro Super Friends DC Comics The Flash action figures! Wave includes Flash, Reverse Flash, Trickster, and Captain Boomerang! Your very own retro The Flash DC Comics action figures based on the classic comic books! This Super Friends Series 6 Retro 8-Inch Action Figure Set contains 4 individually packaged action figures with classic comic styling. Each articulated action figure measures 8-inches tall. Ages 8 and up.